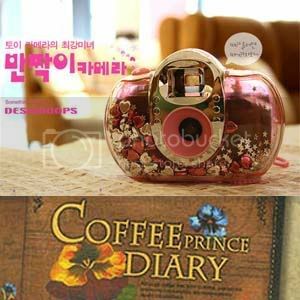 imported from korea- sparkling toy camera + coffee prince 2008 diary Spree #1 [CLOSED] - Spreesgalore : Shopping with just a click! 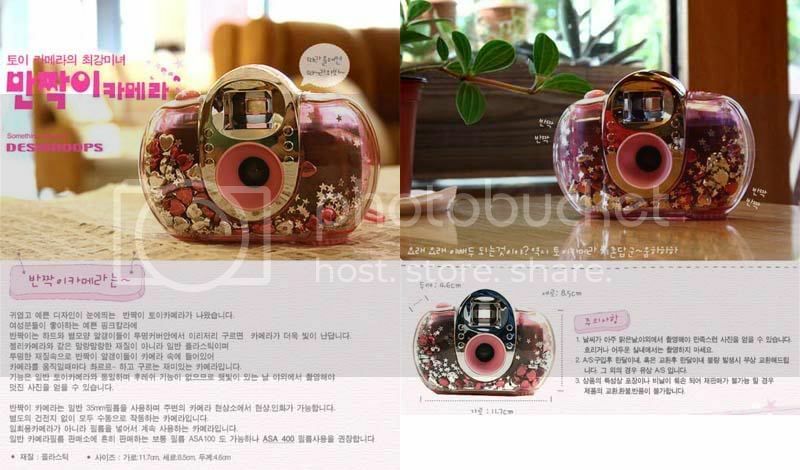 supplier's restocking on sparkling camera, will place order immediately once she has restocked! ♥ Unlike the Jelly Strobo toy camera, this is not soft and is made of normal plastic, within which the shiny thingies can roll about and make “*” sounds, making it a more interesting camera than ever. '*': refers to whatever sound in English that beads can make in a box when they roll about. In Korean, they wrote chareureu. 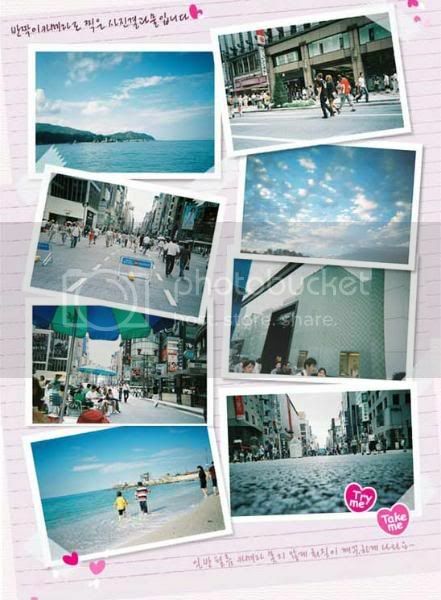 ♥ Function wise, it is similar to the usual toy cameras, without flash function, thus the more preferred places to use this would be outside in the sunlight. 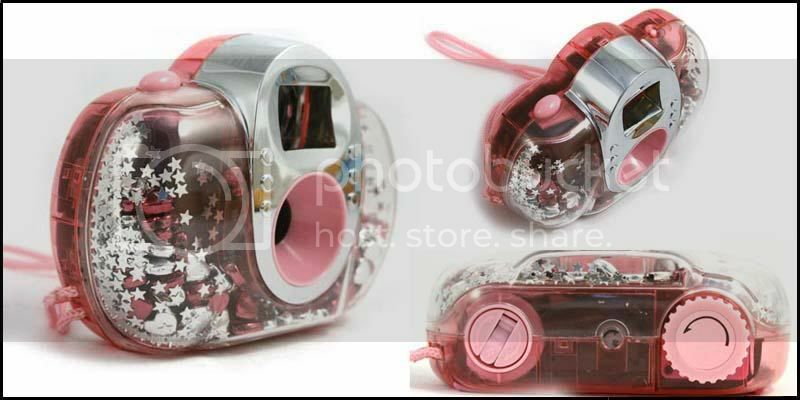 ♥ This camera uses 35mm film, which is largely accepted for developing and printing in most photo shops. ♥ Although the more popular film ASA100 can be used for this camera, we recommend ASA 400. ♥ Doesn’t require batteries, everything’s manual. 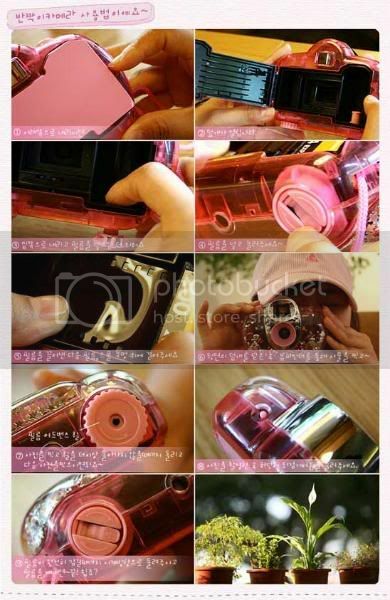 ♥ It is NOT a disposable camera, but one that can be used as long as you like. #1-Q. Does the camera come with the film? #2-Q. Does the camera come with an English instruction manual? #1-Q. 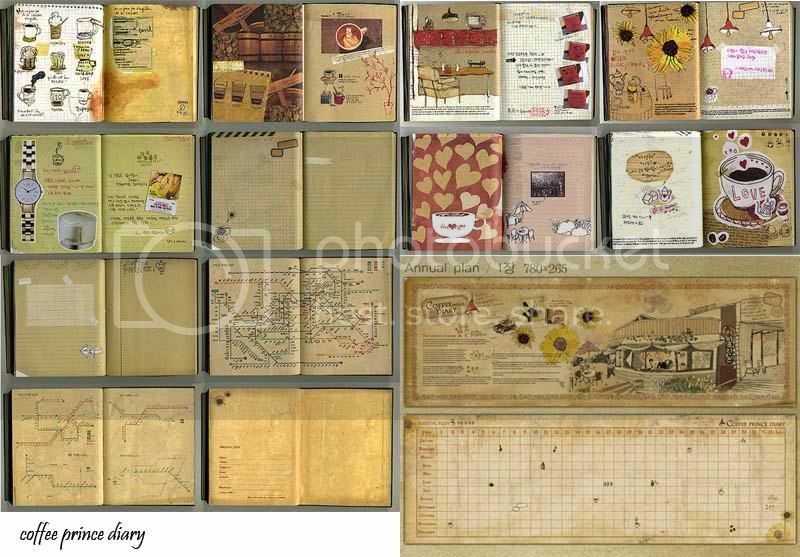 Is the diary for the year 2008 i.e. are there specific dates for 2008 printed out on the diary? #1-A. Doubt so as only the calender will have the dates, and nothing else. But I'm checking with my supplier to be on the safe side. #2-Q. 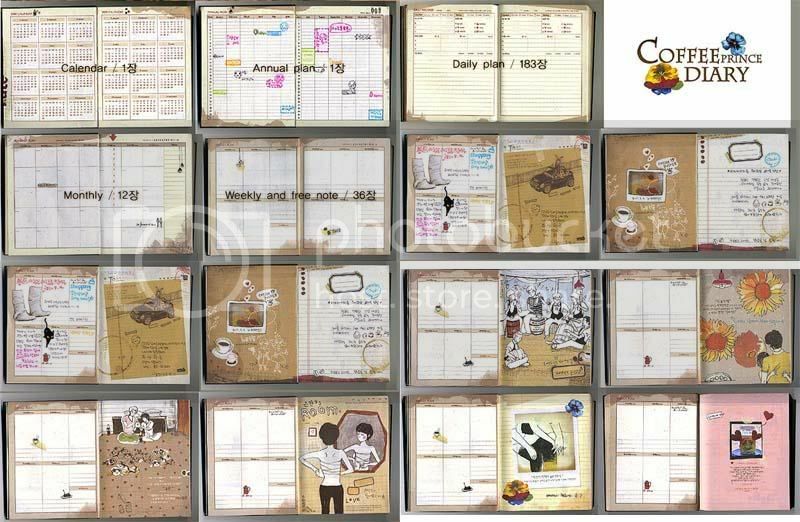 Have you ordered the diary before? How's the quality like? 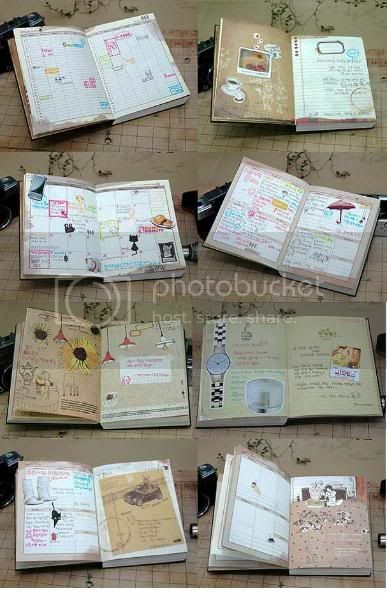 and do you know how heavy the diary will be? The diary is approximately 400g. 2. I will only take in paid orders; frozen reply = order accepted. 3. 1st time dealing with this supplier. Join only if you are comfortable. Payment via IB (internet banking) or ATM to: POSB savings acct 209-04117-0. Please use your LJ nick as your ibanking name. 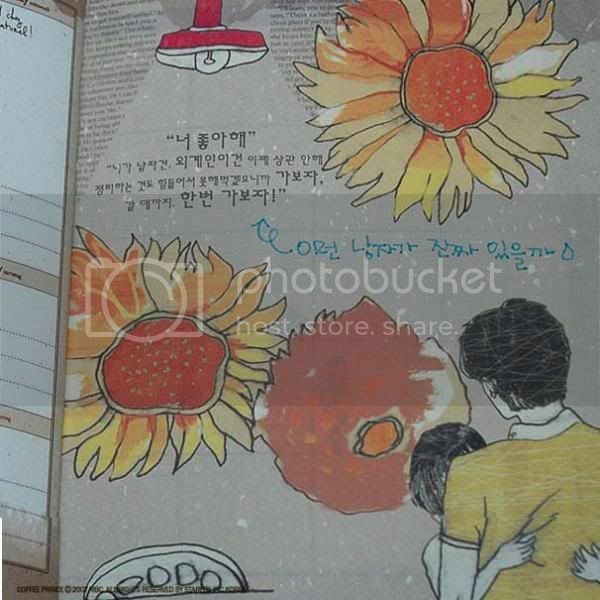 Price is inclusive of international shipping cost but exclusive of local postage cost. hi, may i know when are you closing the spree? the camera is the old way type? go the film shop and develop the pictures out? Yup! The camera is the old type of camera in that it's not a digital camera but a film camera whereby you have to go to the photo shop to get the pictures developed. hey can i do meetup with you? Hi jus to confirm with you. 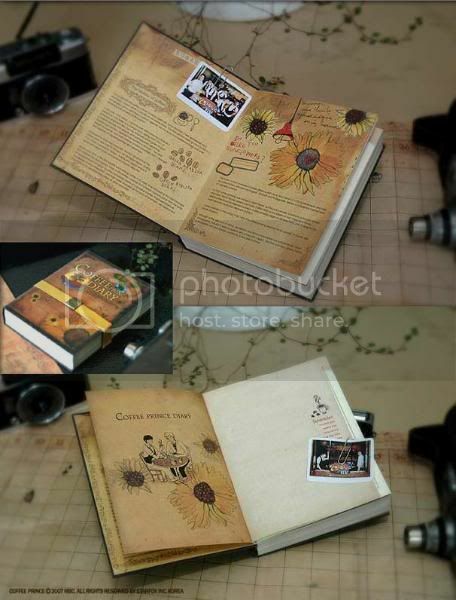 For the diary, $27 includes the shipping cost already right? So there wont be extra charges accept for singapore postage fee if we are not meeting up, am I right? yes, $27 includes the international shipping cost but excludes local postage. so if you're opting for a meetup, it's $27 for the diary, no extra charges. 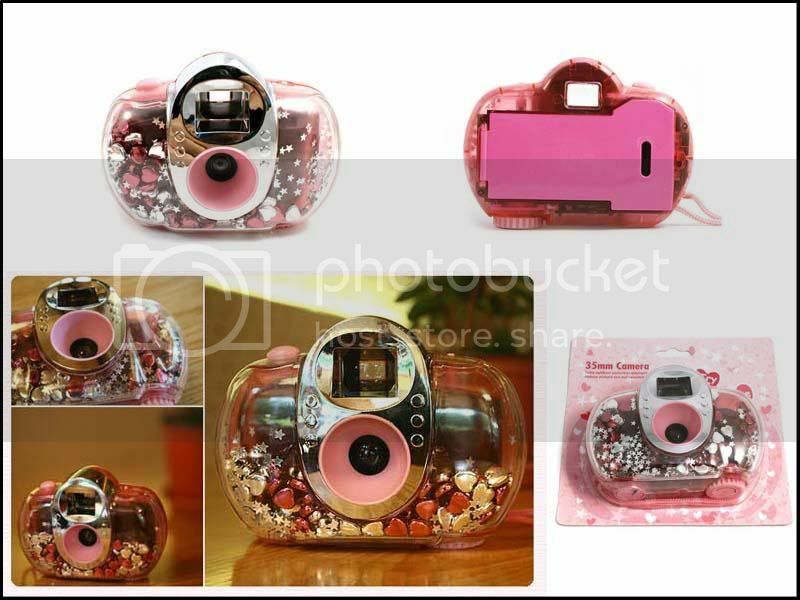 hi i would liked to ask whether the cam can use the jelly lens. and do the cam come with the film when i buy? sorry but what jelly lens are you refering to? it's a normal film camera so i don't think you can change the lens with the jelly lens. I doubt the camera comes with the film but I'm checking with my supplier. have you order the diary before? how's the quality like? and do you know how heavy the diary will be? estimate.... thanks. nope... that's why I'm organising this spree as it's much cheaper to get the items in bulk. the diary is about 400g. info taken from http://global.yesasia.com/en/PrdDept.aspx/section-index/code-k/pid-1010043044/ where you can read a review by a customer. 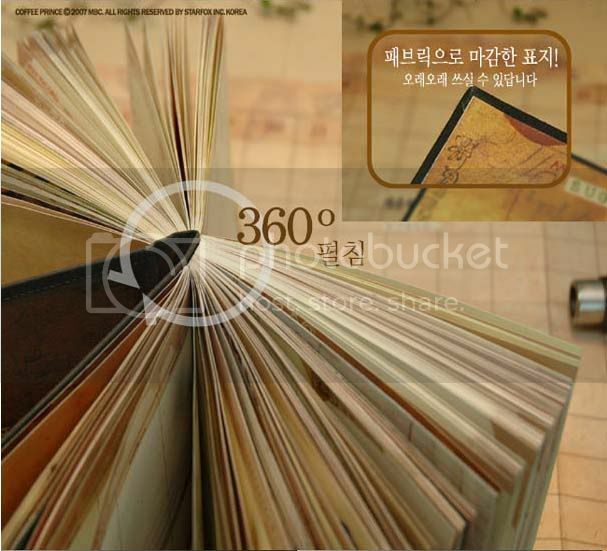 but I'm ordering from a korean website instead, hence the cheaper price! Pls acknowledge when you recieved my payment. Thanks! Hi, i would like to know if there are any other designs you will be bringing in? 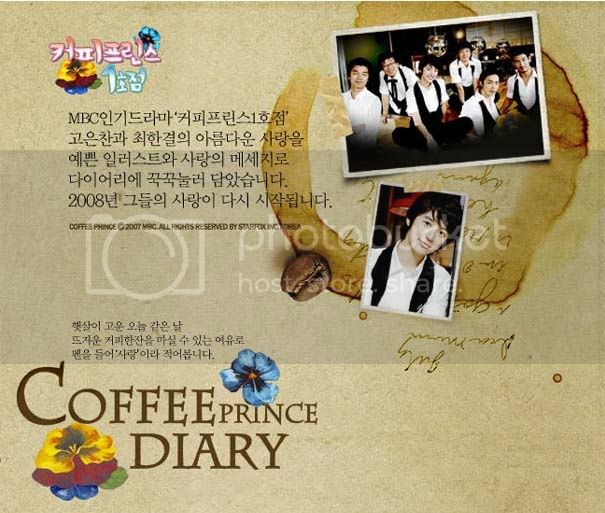 I am interested in Coffee Prince but would like to know if there are other designs to consider. no, sorry :( my supplier doesn't have any other designs. 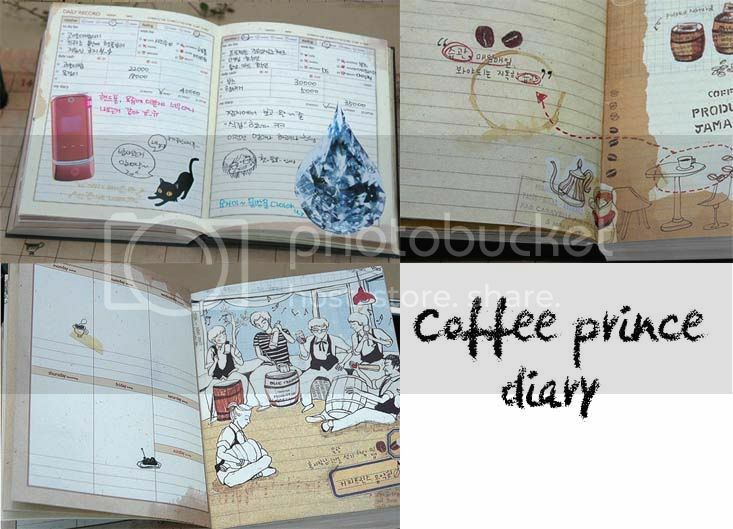 she sells assorted items so the Coffee Prince diary is the only diary she's selling currently. i woudl really really like to get one but can only pay on sat..
hmm...which item do you want to get? hey, have you paid for the diary? hey! for the camera right, what type of films does it use? is it those that are sold in photo developing shops, the fujifilm/kodak kind? normal 35mm film that can be purchased from photo developing shops. yes. Will pay tml via Atm :) Thanks!! 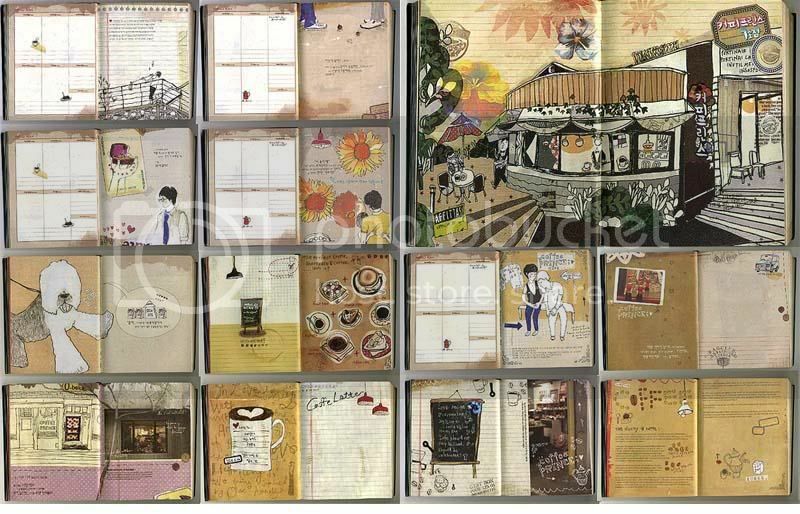 Hi, I decided to buy one diary first! Thanks!